Today it's not enough to write a good CTA; you must write a high-converting CTA. Thankfully there's no sorcery or trickery involved. 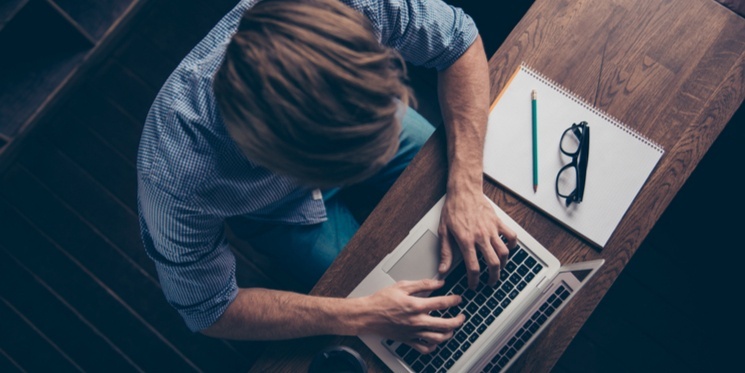 Like most inbound processes, it requires a deep understanding of your customers and leads. Let’s take a look at some of the features of the best performing CTAs. The best CTAs use the same language the customer would use. This is where your buyer persona research comes in. Google: Use Google’s suggested search terms to get a feel for how your audiences are searching. Blog comment sections: Which keyphrases keep reappearing? What are they asking? Interviews: By spending time with customers and speaking one-on-one, you’ll quickly become accustomed to how they use language and which terminology the associate with your industry. One of the cardinal rules of CTA writing is that they must be action-orientated. You are asking the user to ‘do’ something, so it's best practice to begin with a command verb to concisely state the purpose of the CTA. This brings us to emotional value. Let's take the 'free trial', for example; the holy grail of software as a service (SaaS). 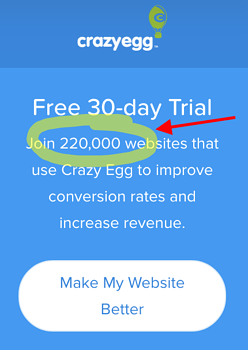 The free trial CTA has the potential to garner a huge conversion rate. Many SaaS marketers play around with emotional value at this point, to encourage sign-ups. They may choose to use language that evokes a certain type of emotion, be that urgency, curiosity, excitement, or pride. Strategic use of 'Experience' evokes excitement while 'actually works' evokes curiosity. Humans are undoubtedly ruled by emotions, and although it might sound unethical, marketers have been taking advantage of this fact for years. Just as restaurants dim their lights to evoke a sense of calm, encouraging you to stay and spend more money, a marketer can tap into an emotion and gear their copywriting toward that. Customers online are driven by the emotional quest to find out more, satisfy curiosity, feel connection and pride, and in many cases, experience instant gratification. Psychology would have it that we are deeply influenced by the majority. And there’s an abundance of research to prove it. For example, we’re more likely to eat in a restaurant that’s always busy, and more likely to watch the movie with the most positive reviews. CTAs, when paired with helpful information such as ‘Trusted by 250,000 users’ support the user's justification behind the click, further cementing a decision to click. This is what psychologists call ‘social proof’. Copywriters can take advantage of this concept, by placing snippets of information detailing the existing amount of users, testimonials or reviews - anything that provides ‘social proof’ that others are using and benefitting from your service or product. Note the CTA language here too: 'Make my Website Better'. Why wouldn't you want to make your website better? Coupled with the fact that hundreds of thousands are benefitting from the software, the user is likely to feel they are 'missing out', should they decide to leave the page. And finally, the best CTAs are usually the result of extensive analysis and testing. A/B testing is the best way to ascertain whether your users prefer ‘request’ to ‘book’, ‘sign up’ to ‘get your’, or ‘click here’ to ‘learn more’. Most content management systems will include a function to enable you to test different variations of your CTAs. The real insight comes when you compare conversions and bounce rates against those variations. This empowers marketers to inform all of their further communications and gain a better understanding of what makes their users tick. It's astonishing the impact one word can have. For example, words such as 'schedule' could lose you hundreds of conversions: Schedule a demo' sounds too much like hard work, and triggers barriers associated with time and effort. For that reason, this word lost 88% of conversions compared with 'Watch a 5-minute demo now'. This does, however, bring us back to buyer personas. For some customers, the idea of scheduling a demo may well seem more attractive than watching a demo right away. This depends on a number of factors such as their daily schedules, where they carry out their work, or how much control they have over software procurement. There are no one-size-fits-all solutions here, and it's vital to have a thorough understanding of your prospect's values, challenges and objectives. Ultimately, when writing CTAs, you must always strive for clarity. Innovative copy is great, but if it confuses readers, it’ll be counterproductive. With a solid insight into your audience's values, language and triggers, you're better equipped to develop compelling copy that engages and maximises conversion rates.